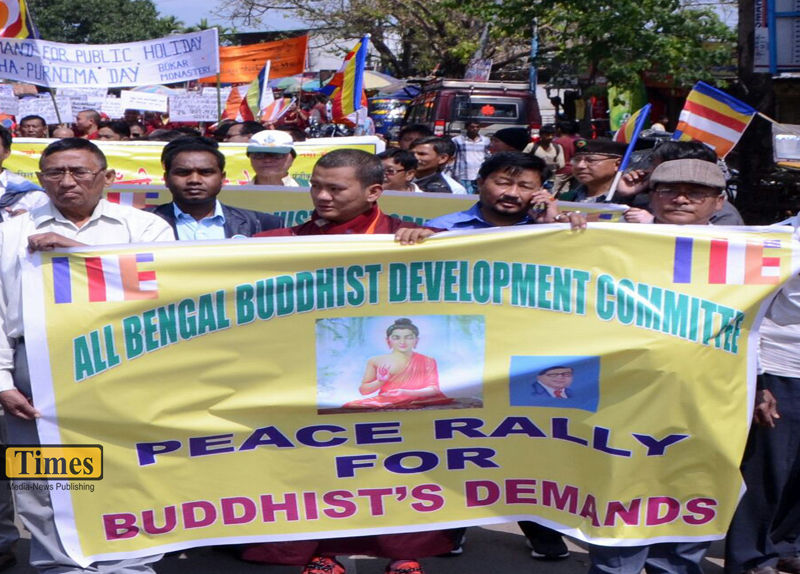 The All Bengal Buddhist Development Committee has been renamed the All India Buddhist Forum. The decision was taken today at a meeting held at the Town Hall in Kalimpong. It was presided over by Jambu Lama (Sherpa) and a new committee was also formed. The chairmen of all the community development boards in the hills, where there are representatives of the Buddhist community, will remain as patrons of the Forum, while presidents and secretaries of all Buddhist associations and organisations will comprise the advisory board. Akash Lama, the general secretary, said the newly formed committee will work for the development of the association and go to Delhi shortly with a 15-point demand to highlight the Forum and its tasks at the national level. Vice Presidents-Sonam T. Bhutia, Anand Tamu Gurung, Manoj Tamang, Sebastian Pradhan. Lobsang Tamang, Passang Bhutia, Vigyanand Bhanite. Asst. Secretaries-Kamala Tamang,Surendra Thing, Lanam Lama, Kamal Kujur, Nima Syanden, Lalit Nesur,Palden Bhutia, Tapan Mutsudy.